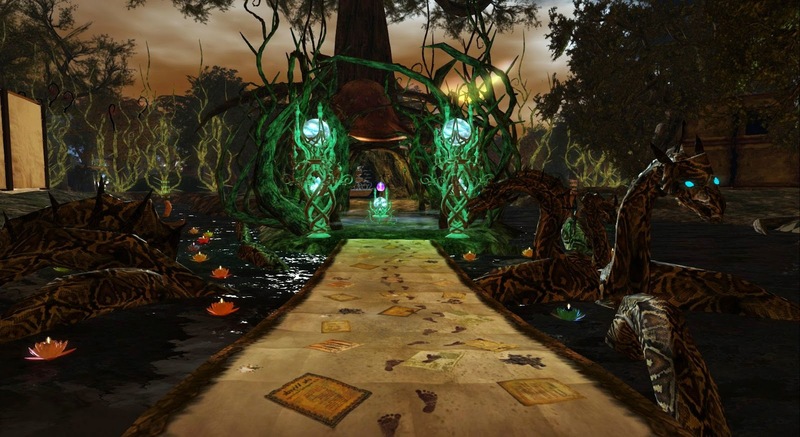 Second Life's annual Fantasy Faire opened on Thursday across 13 regions. The event runs through May 3 and benefits the American Cancer Society Relay for Life. 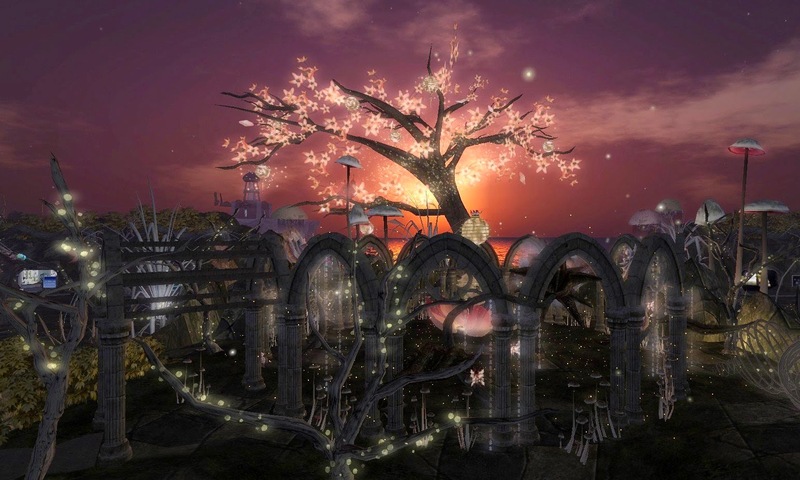 Second life residents look forward to great builds and displays at the event, and this year's Fantasy Faire does not disappoint. The event was packed on Thursday evening when I visited. 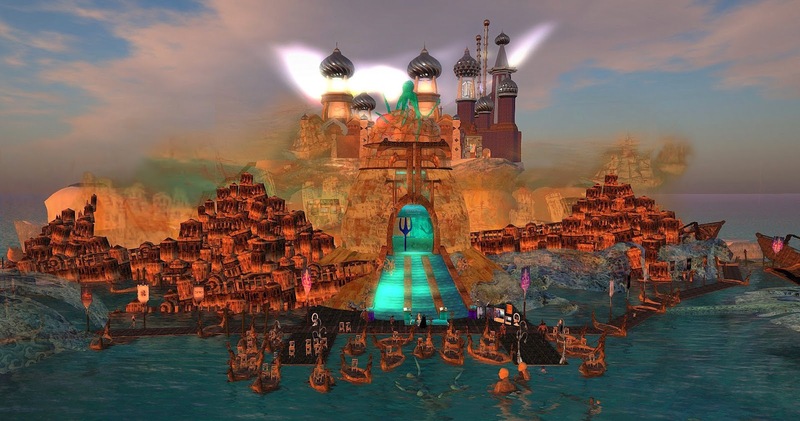 There was substantial lag in many areas due to the number of people and scripts and animations running across the region. I did not crash, but had to keep my photography on high and not ultra settings as I usually do. It took a while for scenes to rez in. 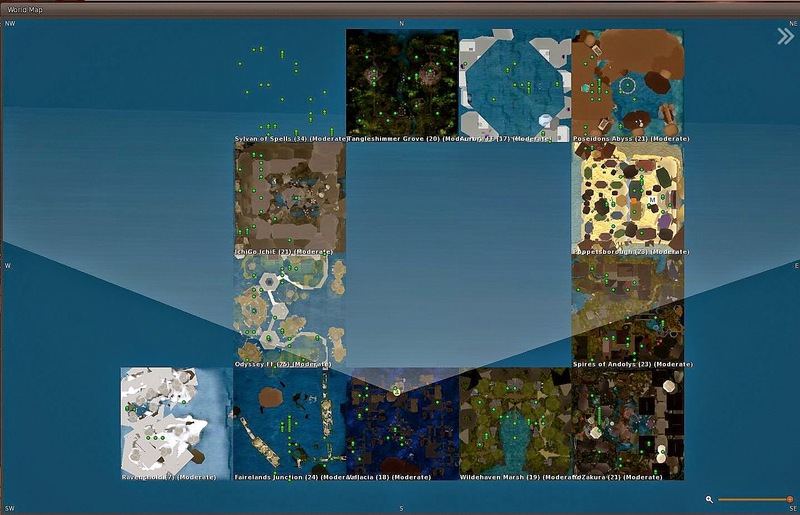 I wanted to photograph all 13 regions, but only managed to get images for 5 regions which I show here due to slow texture loading. 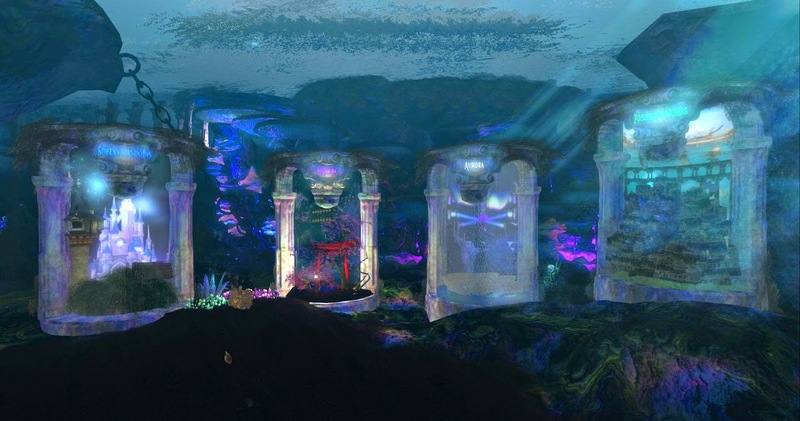 One event standout is a gorgeous art installation by the incomparable Haveit Neox called Poseidon's Abyss. 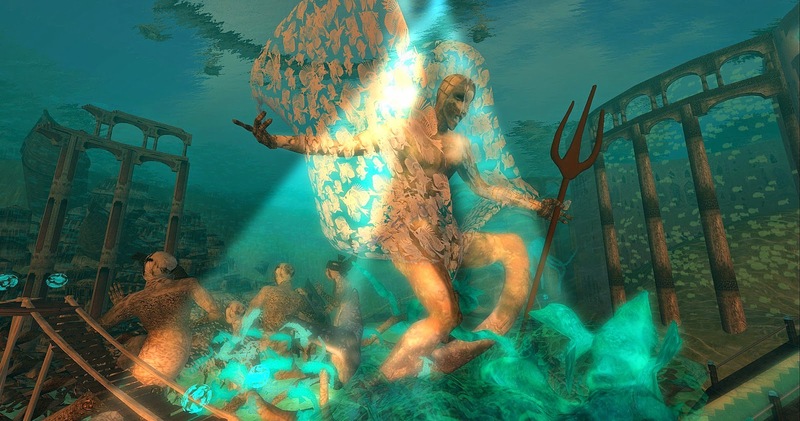 Underwater galleries and hidden spaces eventually lead to Poseidon and his minions who lie in terror of his pitched fork. 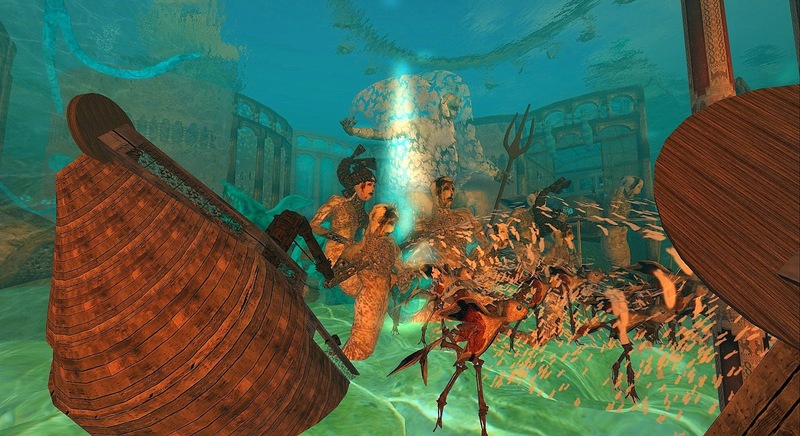 I featured two of Haveit's magnificent installations here recently, City Inside Out at LEA 20, and the Hall of the Centaurs at Verdigris City, and particularly like Poseidon's Adventure because of its unique aquatic theme and setting.